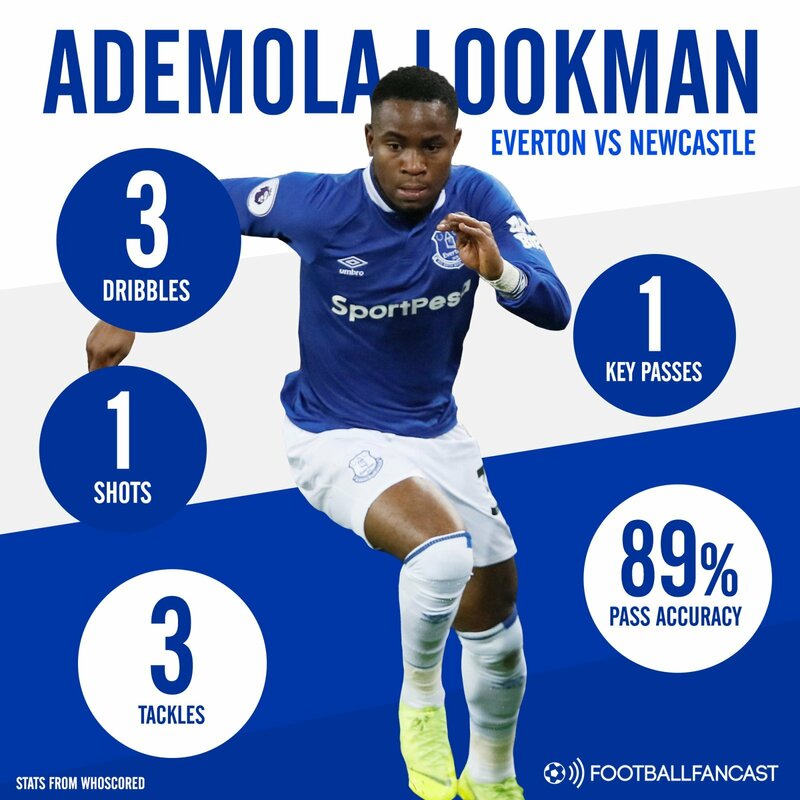 Ademola Lookman was given a rare Everton start against Newcastle United at Goodison Park on Wednesday night. Taking the place of Theo Walcott in Marco Silva’s starting XI, the 21-year-old winger produced a hard-working and thoroughly decent display. However, if the highly-rated England under-21 international is to nail down a starting berth of his own with the Toffees, he must make more of these kind of opportunities. With Walcott himself struggling to shine on Merseyside, the position is there for the taking if Lookman can only step his game up a gear to make his selection an easy pick for Silva. Against the Magpies, Lookman was pleasingly aggressive and adventurous, but couldn’t have the same kind of impact as his teammate, Richarlison, managed on the opposite flank. Lookman was very tidy in possession, registering an in impressive 88.9% pass accuracy. He completed 36 passes in total, including one key pass. He was also confident on the ball and willing to run at his opponents, as evidenced by the fact that he successfully completed three dribbles – as many as any other player on the pitch, and more than any Newcastle man managed. He could only muster one shot, though, and it didn’t trouble Newcastle goalkeeper Martin Dubravka. Most impressive, though, was Lookman’s defensive diligence and willingness to aid his team in fending off Newcastle attacks. The winger made three tackles in his 77 minutes on the pitch – more than any of his teammates. Not much is missing from Lookman’s game before he’ll be a regular starter at Goodison, but the room to grow is obvious, and his decent but not dominant display has made Silva’s decision very difficult.